Traveling full time usually also means quitting conventional, secure jobs. That’s a scary thing to do, especially if you’ve always had conventional, secure jobs all your adult life. So there’s a big puzzle you feel you have to solve before you jump: How can you not run out of money when you always travel and don’t have a “real” job? 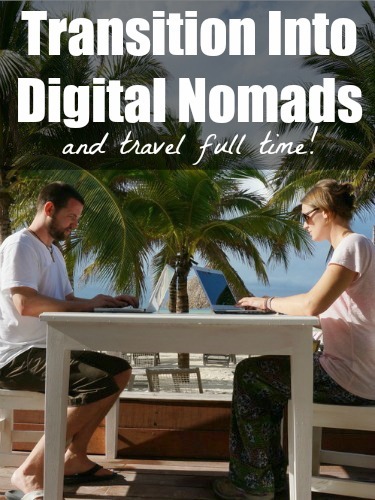 Over the years, Nick and Dariece of Goats on the Road have been RTW-ers, full-time travelers, expats and digital nomads. But it seems to me like they’ve maintained the same approach when it comes to their finances: plan for about a year or two into the future and see what happens. If you want to travel full time, there’s a temptation to figure out every single thing before you start. I hope this interview can show that it’s okay to take it one step at a time. You had a home, nice jobs and a comfortable lifestyle before you took a life-changing RTW trip in 2009. 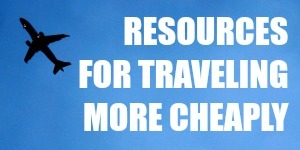 How did you prepare yourselves financially for this first trip? How much was your budget and did you manage to stick to the budget? Yes, we did have a comfortable, very typical lifestyle before we decided to switch-it-up and take off at the end of 2008, and into 2009! We knew that we wanted to (and needed to) sell the house before we left for 13 months of travel. That was a nerve-wracking and emotional time, but in the end, our home sold and that gave us a big chunk of change to backpack with. Nick worked a lot of overtime at his job and he put all of those savings into the bank. We also put ourselves on an “at home budget” and basically we just cut-back on unnecessary, material spending. After our flights were paid for, we figured we would spend $50/day overseas and that we would stay in SE Asia and India for a year – that totals $18,250. Some days we ended up spending $30, while others we spent $75. We also decided that we wanted to keep traveling for an extra month, which tacked on another $1,500 or so. In the end, we spent about $20,000 on that trip – pretty much on budget! After that trip, you came back to Canada, but you had also decided to travel full time. You worked for another year to save some money. How much did you have when you left, if you don’t mind sharing? How did you know it was enough? I actually don’t mind sharing because I think it’s important to give people a realistic idea of how much money they need for long-term travel. You’re right, we worked very hard in Canada for 13 months in order to save up money for our next trip. We knew it would be our last time working in Canada because it just wasn’t the lifestyle we wanted to live anymore. Nick endured lots of overtime shifts and chose to work stat/bank holidays. I worked my regular 9 – 5, plus I picked up a second job working online from home. When we left for the final time, we had saved $72,000 during the year (including 7,000 that we had saved prior to our first trip) – some of which we would put into savings, some of which we would put towards travel. We estimated that we would spend $55,000 for a year-and-a-half of backpacking around. Our budget this time was based on $100/day (we were traveling to more expensive countries than SE Asia & India). We had done lots of research online via travel blogs and also looked at various guidebooks to come up with a rough budget of $100/day, which seemed like a reasonable amount to us. In the end, our budget was very close to what we had expected. Tell me about your experience as English teachers. Where was this and how much were you paid? Did they provide you with housing / transport? Did you manage to save some money while you were working there? Housing was paid for and so was the cost of taxis to and from the school. 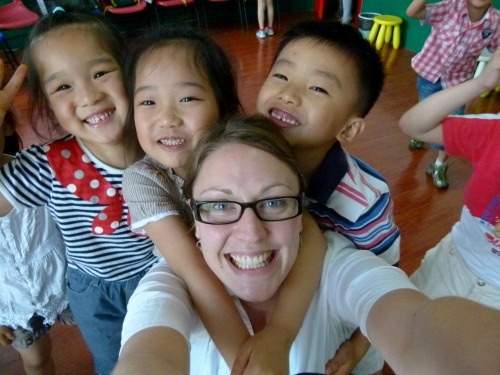 On top of paying for our apartment, monthly bonuses and taxis, the school also paid for a return flight between China and Canada, a completion bonus at the end of the year, medical insurance and Mandarin language lessons. We were able to live really comfortably during the year AND save $21,000 USD between the two of us! Click here to find out how we were able to save so much cash. I read many travel blogs and only a handful bloggers have managed to actually live off blogging income. How long did it take you to get to that point? Besides blogging and freelance writing, are there any other ways you guys earn money while traveling? Initially, we were just blogging for fun to share our stories with our families and friends back home. But at the beginning of 2012 we decided to create Goats On The Road and it took us about 1.5 years to earn any money from the website. Today, we’re able to live fully off our earnings from our blog and from various freelance writing jobs. You do a lot of house-sitting. Tell me about the best house-sitting gig you’ve ever had. Besides house-sitting, what other ways do you use to minimize your accommodation spending? House sitting is a great way to save money on accommodation costs, enjoy the company of a pet, and live like a local. 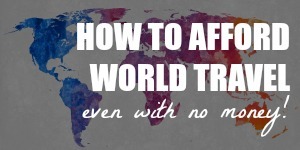 This is one way that we can keep some money in our pockets while we’re traveling and living the nomadic lifestyle. Our best house/pet sitting job was in Grenada. 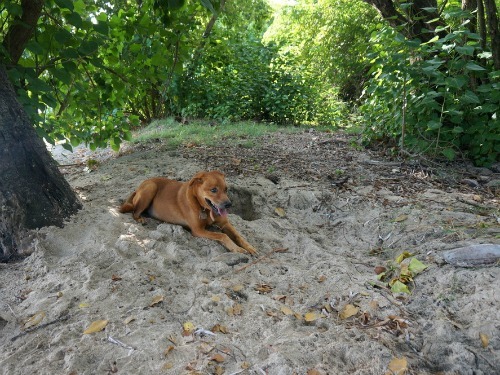 Our furry little friend named Spare Dog was the best pet we could have ever asked for and the oceanfront property we lived on was stunning! 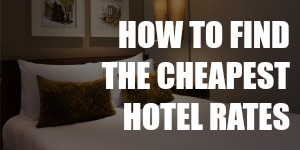 To find out how we saved $24,000 in accommodation costs during this sit, click here. Besides house sitting, we’ve recently begun renting apartments in different cities we visit, as well as traveling slower than before. We feel that if we slow down and stay in a city for a month or so, we’re able to really get a feel for the place, and save a ton of money on accommodation costs. As an example: the apartment we’re renting here in San Pancho, Mexico is $400/month, while the double room at the hostel is $50/night ($1,500 / month). I enjoyed reading your list of modes of transportation you’ve taken. Some of my most memorable moments while traveling happened while trying to save money by taking public transport. What was the craziest experience you’ve had while you’re on the move? Hmm, good question. We love traveling by land, and particularly by train! When we were on the Trans-Mongolian / Trans-Siberian trains, we had some pretty crazy times with the local people. First of all, as we were nearing the border, people were stashing all kinds of goods that they were trying to smuggle from Mongolia into Russia! They asked us to hide things for them because foreigners never get searched – we obviously declined. It was pretty funny watching them trying to frantically hide goods under beds, up on shelves, in bags and even in the secret compartments in the floorboards. We were also asked to join numerous passengers for some shots of vodka, this is very common in Mongolia, Russia and Central Asia. We had a few too many on one of the journeys and it actually turned into a bit of a party! It was fun, until we arrived at our destination and had only slept for about an hour…needless to say, we didn’t feel too good. Wait, that cannot be the end of the smuggling story. I have to know what happened to the smugglers on the train. What kind of things were they smuggling? Were they searched and caught in the end? The smugglers were Mongolians who had bought cheap items when they were in China and were trying to smuggle them into Russia and Central Asia to sell them at a higher cost. Nothing super interesting, just horse riding boots, blankets, tea, jeans, backpacks and other odds and ends. You have to declare all of those items, but they didn’t want to and were trying to hide them everywhere they could! When we reached the border, police, security guards and drug detection dogs all came on board and did a THOROUGH search of the cabins. Many people were caught and escorted off the train, while other innocent people were given a really hard time (not Westerners though). The whole ordeal took four hours! On your About page, you mention not planning for retirement. Is this true, do you have no retirement savings? How will you support yourselves when you’re 65 (or however old you’ll be when you retire)? We do have savings in the bank, and always try to put some money aside each month. We will continue to earn money the way that we currently are, we could blog until the day we die! Plus, we plan to always live abroad in countries where our dollar will go much further than if we were living in a Western country. We actually consider ourselves retired right now, because even if we were 65 and didn’t need to work, we’d be doing EXACTLY what we’re doing now (including blogging). That means, by the time we’re 65, we will have already been retired for nearly 30 years and our savings will be enough for at least 30 more! In Canada, our CPP (Canadian Government Pension Plan) is slowly going bankrupt and even though our working generation pays into it from their salary every month, it is unlikely that we will see any of it when we reach the age of retirement. Luckily, we work online and therefore don’t have to waste our money by pouring it into a vanishing account like that. Also, the rules are changing in Canada and you now have to wait until your 67 to collect old age security and government income supplements. In short, our own savings plan and investments are likely more lucrative than any government pension plan in Canada and we have no worries whatsoever about our financial future. We are firm believers that everything will work out how it’s meant to. So far in our lives, everything has flowed easily and simply when we’re following the path in life that we’re supposed to be on. We’re plan-free, debt-free and care-free…and we love it! Nick and Dariece are the couple behind Goats On The Road, a website designed to show others how to turn their travels into a lifestyle. Masters at making money abroad, they’ve been on the road since 2008 and have explored some of the least visited places on earth. They’re also full-time contributors at Credit Walk where they share their expertise in long-term travel. I’m reading this a year after it was written… but still I am glad I found this article! 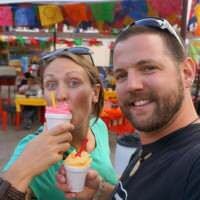 I’ve been trying to find blogs for Canadians who want to go nomads and as a family (we’ve got 2 young kids). Although Canada is a great country and I’m very grateful for always being safe and, having great benefits (i.e. : healthcare), I feel we live too fast, too selfish, and focus on materials too much. I want my kids to see something else… not to be stuck in this 9 to 5 life where we got to live to keep up with our (made-up and unrealistic) obligations. I want them to understand other cultures and grow their minds with all kinds of different views. It’ll take time… and money sure… but we’ll make it. I love finding out how other people travel. It makes me feel less crazy that I chose this life. Great interview. Thank you. Great to see Nick and Dariece featured here. Their blog Goats on the Road is now very highly respected due to their great content and fabulous videos. I think they have demonstrated how with great determination they have made things possible. Without knowing their personal income whilst working I guess they made numerous sacrifices to save so much for their travels. This is very admirable and shows how they prioritised their travels over other things. I also love their thought process of already being retired. For many they are now living the dream – doing what they want to do and where they want to be. Great interview! I love hearing how others choose to travel and it’s even better when that includes concrete tips and numbers like this one does. Thank you so much for featuring us on your awesome site :) We think it’s really important to share honest info about money with people to give them a realistic idea of how much they’ll need for travel. I really like the idea of this interview series, it is taking the practical tips you give and applying them to other people’s actual experiences. :-D Great idea and execution!